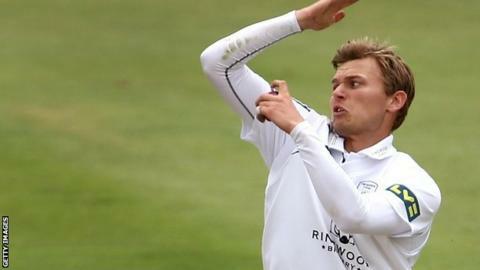 Sussex have signed England left-arm spinner Danny Briggs from Hampshire. The 24-year-old has signed a three-year deal at Hove after Hampshire agreed to release him from his contract early. "I'm looking forward to joining Sussex and working with the players and coaching staff. I'm excited for the opportunities that lie ahead," he said. "I'm really grateful that Hampshire are letting me leave early. I'd like to thank the playing staff and the coaches that I've worked with at the club." Briggs has taken 191 first-class wickets in his 67 matches, with a best of 6-45, which he took for England Lions in 2011. He made his England one-day international debut against Pakistan in Dubai in 2012 and has also played seven times for his country in the T20 format.